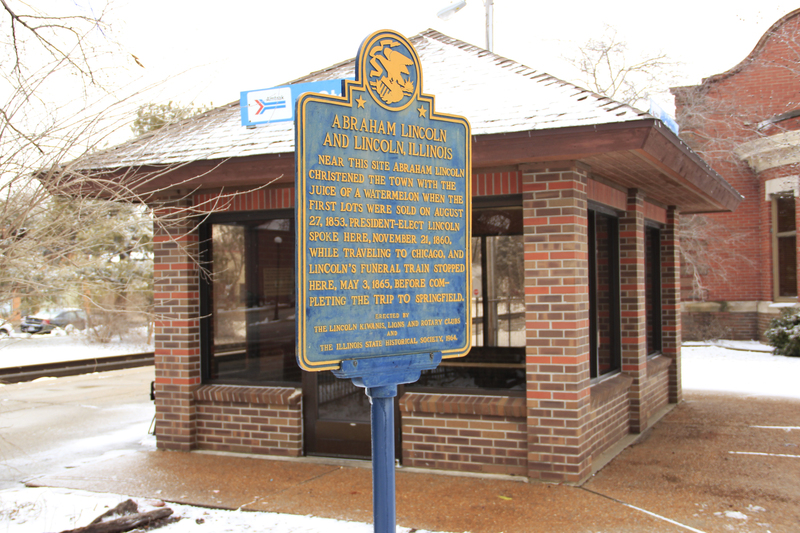 I first became interested in Abraham Lincoln after stopping off in Lincoln, Illinois on a trip through the Midwest in March of 2013. 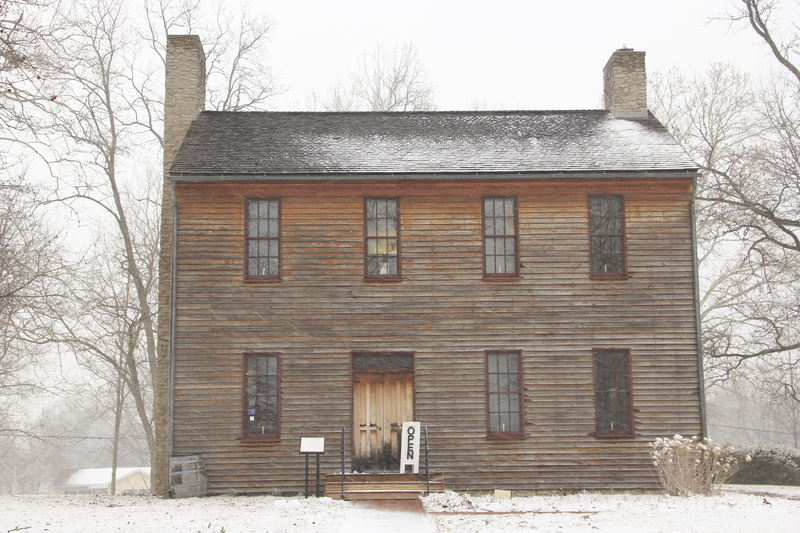 During some dismal weather I found out about the Postville Courthouse and the Lincoln Heritage Museum at Lincoln College – both located in Lincoln and both proved to be very interesting. 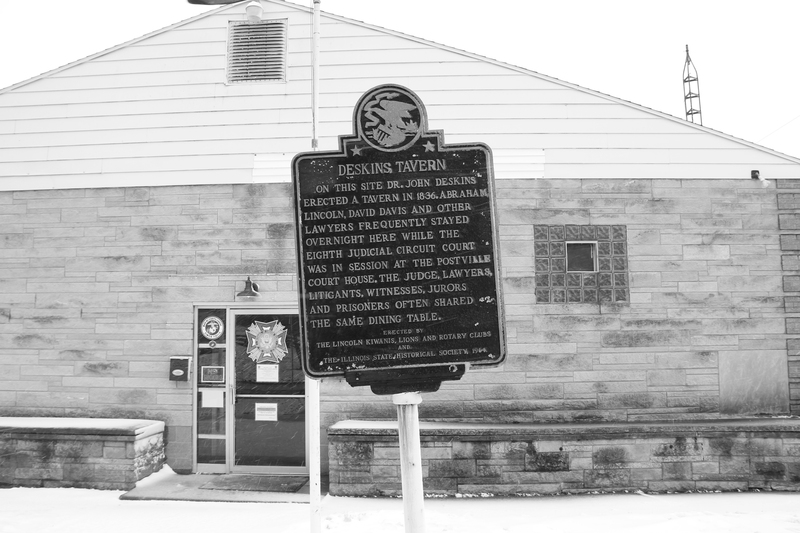 Lincoln used Postville Courthouse as he traveled the Eight Circuit as a young lawyer. The Lincoln Heritage Museum features a wealth of Lincoln’s private possessions, such as furniture, stationary and even a lock of his hair. When I visited the museum, it was still located in a somewhat cramped and dark room, but apparently they will be using new, improved facilities in the near future. It was still fascinating, with an exhibition dedicated and introducing all American Presidents amongst all the Lincoln related stuff, which was very welcome to me as for me as a European my American history knowledge is still rather sketchy. After returning from my trip I searched for a biography about him, as I was reluctant to watch Steven Spielberg’s film, as I am not very fond of his films. However, I guess that I will be catching up on that at some point, I asked the person working at the Lincoln Heritage Museum what he thought about the movie and in his opinion it’s not that badly made and fairly accurate about the facts, and I am sure Daniel Day Lewis’ did a great job on portraying Abraham Lincoln. A quick search revealed this biography to be something of a standard and is reported to be the best one, so I decided to purchase it. As I knew very little before I started reading the book, I wasn’t aware of Lincoln’s troubled nature with dark moods he encountered a lot of times during his life for example. I was especially captivated by the first chapters describing his upbringing which can only be called humble, in an America in its early stages – an intriguing insight into an US, drastically different from the one we experience in the 21st century. What struck me most where the multitudes of work lines people at that time tried to make a living with, very different to the world I come from, where you more or less stick to the job you decided early on in your life, and possibly only change your career one or two times in your life at most. What I also found amazing early on in the book, was his almost complete lack of formal education (he visited school for less than a year), and that you could study law by reading books alone, lying on a pile of wood for example. (As I found out reading on, it was not that uncommon, but still). Somewhat of a disappointment for me though for me was the realisation that his stance towards the issue of slavery and the treatment of black people was not as clear as I assumed it was. As far as I can tell it was always in him, but as President and throughout his political career before that, it was probably not always very wise to profess to his beliefs openly – an explanation maybe, but still something to be frowned at in my opinion. Being white and European, I am by no means an expert on these matters, and they aren’t THAT near to me heart, but it is of course not a question that all people are equal, whatever their colour. Reading for example that he thought that the white and black race were better off apart at some point, or that he tried to ship them off to middle America to build up their own country, made me shudder on a few occasions (chapter ‘… Piled High with Difficulty’). However, especially towards the end and throughout the war it became increasingly clear on a number of occasions that he was a man full of compassion, he granted parole to a lot of soldiers for example during the war and was in favor of rebuilding the nation instead of punishing the South – which made me respect and like him a great deal. 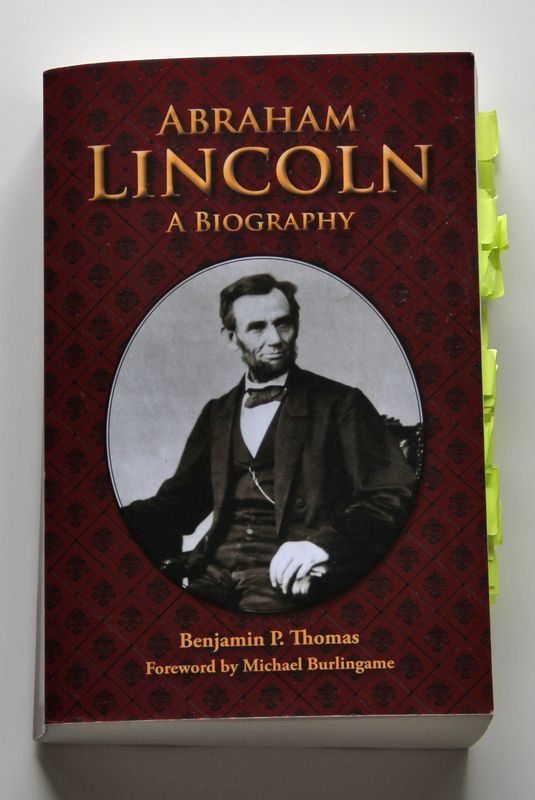 I still don’t claim to be much of an expert on his life, the Civil war or American history after reading Abraham Lincoln A Biography, but the book gave me something of an insight into all these things, and encouraged me to try to find out more about them in the future. The writing is quite accessible, a lot of name-checking making understanding a little bit difficult at times, but it’s still not too hard to follow the going ons, so I would recommend the book to anybody wanting to find out more about a person perhaps shaping US politics and the country as a whole more than anybody else, during what was definitely a challenging time, both for him (he also had the loss of one of his young sons to cope with on top of everything else) and the country. The book also encouraged me to go and find out more about his life and I plan to visit places such as Springfield,IL and New Salem at some point in the future. 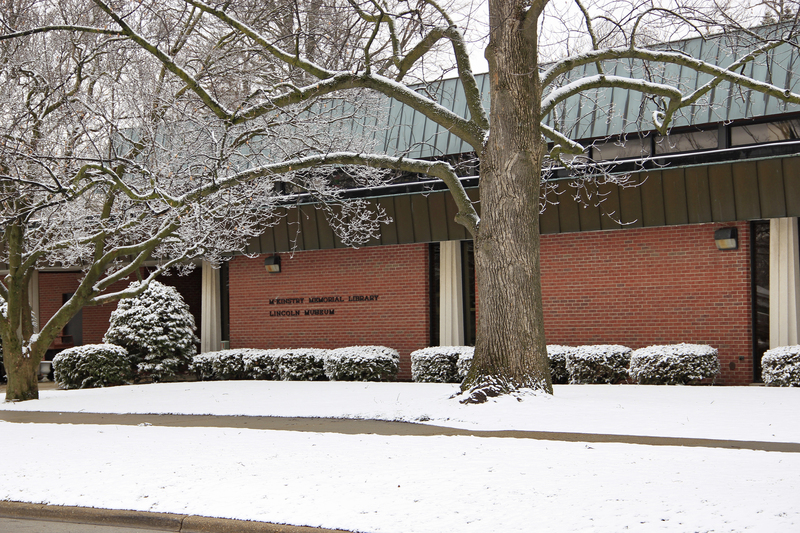 This entry was posted in Books, Photography and tagged Abraham Lincoln, American History, Biography, Lincoln, Literature, Photography, The Civil War. Bookmark the permalink.